My background is in mobile telecoms and mobile internet, and therefore it’s interesting to me looking at what is happening this month in the Brazilian mobile telecoms market. The national regulator, Anatel, has placed a ban on three of the four operators from selling any new SIM cards (i.e. new phone contracts or services) until problems relating to the quality of service and coverage have been resolved. It appears to me that this is unprecedented action in a country so rife in corruption, where the customer certainly pretty much always comes last, and where legal processes can be measured in decades rather than months or years, so that it is easy for companies to totally abuse customers knowing that they have no practical or ethical way of redress. The result of this action is that operator TIM has been banned from selling new SIMs in 26 states, Claro in 5 and Oi! in 3. Vivo has not been affected from this ban, but as a customer myself believe you me they are not much better. Anatel are also concerned that these problems will negatively impact on the image of Brazil during the World Cup in 2014, and hence they are doing all they can to work on the problem now. Vodafone and Spain’s Telefónica, which operates the O2 mobile service in the UK, will share their cell towers, masts, radio equipment and local transmission kit in a 50/50 joint venture aimed at improving user coverage and accelerating the development of new fourth-generation (4G) mobile services. The agreement could reduce the companies’ UK mobile network costs by 25 per cent, producing combined savings of more than £1bn by 2015, said Emeka Obiodu, a telecoms analyst at Ovum. At this moment in time in Brazil, I am not sure that any one in any of the networks has this concept of co-operation with competition. It’s interesting as when I first started working at BT Cellnet (now called O2, a part of Telefónica), you could only send a text message from one phone to another phone on the same network. But when cross-networking texting became available, texting just exploded, especially among young people. Also, another great example of co-operation/competition comes from VISA. In the 1960s, the North American credit card industry was on the point of collapse, chaotic, unregulated and out of control. Dee Hock, then a 38 year old banking executive was tasked with looking for an innovative solution, and it was Hock, who heavily influenced by his studies of complexity in nature, developed what he would call a chaordic business model. 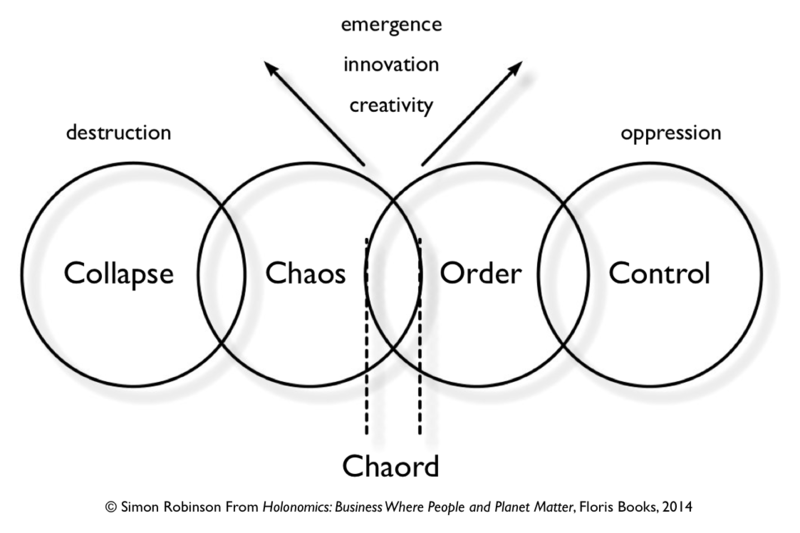 In this model, there is both chaos and order in the system as a whole. Too much control and you fall into totalitarianism and dictatorship, with no creativity, but too much chaos and the system collapses due to being unsustainable and not resilient. Creativity arises from the space where there is just the right amount of chaos and just the right amount of order. In business this can be taken as competition and co-operation, and we are seeing this more and more now in the UK mobile industry, with other European mobile companies eyeing the situation closely. The VISA system consists of thousands of members, all of whom compete with innovative solutions for customers, but all of whom are members too of VISA, allowing customers from other banks to use their own systems. Hock revolutionised the American credit card landscape, and in two years out of the ashes came what we now know as VISA, one of the largest and most successful companies in the world. So where now for Brazil? I will be monitoring this situation closely over the coming weeks to see how the mobile networks progress. I always mention the notion of mental models and the importance of new ways of thinking in business strategy. Customers, including my own wife who is currently without service despite TIM promising that her new phone would work this week have been badly affected and who knows how long this chaos will last for. But as we say, every cloud has a silver lining, and for once Brazil has a regulator with teeth (unlike the senators in the governmental department for ethics who are being tried for corruption), and I see this as possible turning point where for once, customers come first, and Brazil can really start to improve in an area that impacts so heavily on the competitiveness, sustainability and resilience of its national economy. 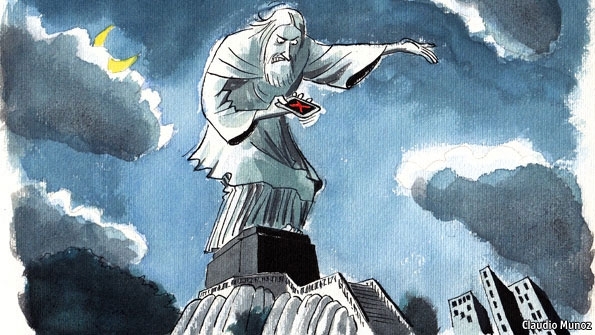 The Economist: The next big blackout?